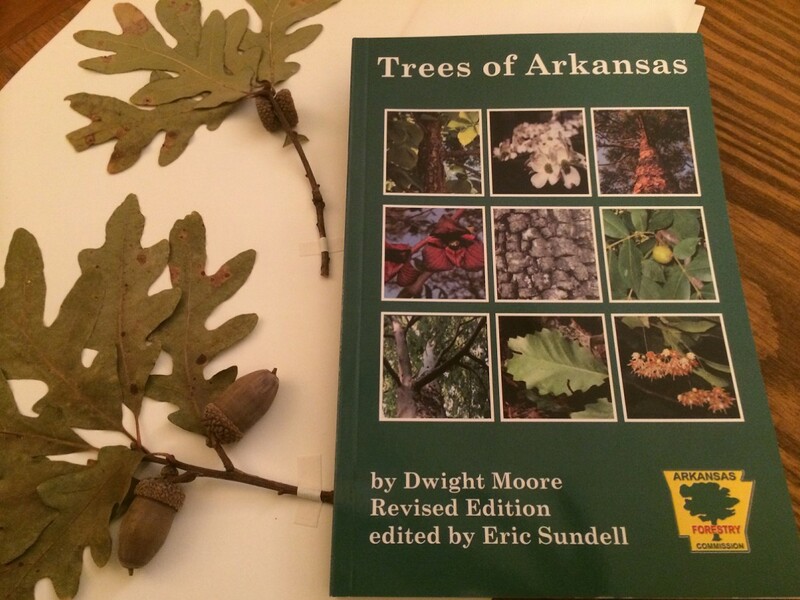 The tried and true handbook of the Arkansas Forestry Commission, Dwight Moore’s Trees of Arkansas, has been reissued (2014) in a smart, new, user-friendly, and full-color edition. The newly revised eighth edition of Trees of Arkansas faithfully conserves the heart of Dwight Moore’s book: his thorough, accurate species descriptions as well as his comprehensive and very readable overview of the forest regions of Arkansas. Also retained are the fine pen-and-ink drawings that date back to Arkansas’ original tree manual of 1924, Common Forest Trees of Arkansas: How to Know Them, by John T. Buchholz and Wilbur R. Mattoon. These detailed botanical drawings had lost clarity over many years of reprinting—finer structures such as the buds and bud scales of winter twigs, once so crisp, had become too muddy to be of any representational value. The line drawings were restored by technical editor Adriane Barnes using that factotum of the high tech age, the smart phone. Adriane photographed the line drawings, still sharp in Turner’s glossy 1937 manual, and sent them digitally to the manuscript of the new edition. Two major changes to the old handbook should make this new effort an even better field companion: color photographs and rewritten identification keys. Each of the 115 pages devoted to full descriptions of the trees is now illustrated with usually 2-3 color photos of leaves, flowers, fruits, and most significantly, bark. Colored fruits and flowers and even plain old green leaves turn black-and-white pages bright and lively—and of course supplement the line drawings that supplement Moore’s descriptions. The bark photos, on the other hand, give visual information brand new to this edition. 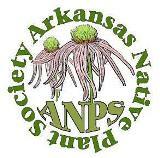 Photos were provided by Forestry Commission county foresters and other agency personnel as well as by several members of the Arkansas Native Plant Society: Linda Ellis, Marvin and Karen Fawley, Norm and Cheryl Lavers, John Simpson, Sid Vogelpohl, and Mike Weatherford. Sid Vogelpohl’s gorgeous picture of pawpaw flowers appears on the front cover. To spare readers the chore of picture-hunting through more than 100 pages in search of their trees, Trees of Arkansas is equipped with identification tools called keys. These keys (to trees in both summer and winter condition) have been rewritten and are now strictly dichotomous—meaning that at each step along the way, the user is faced with only two choices. Keys in past editions offered as many as four and even five choices, making progress slow-going, something like Robert Frost’s “pathless wood, where your face burns and tickles with the cobwebs broken across it…” The new keys are easier to use—and hopefully, just as accurate! A few other changes can be mentioned. Three new species are added to the roster of Arkansas’ tree flora: Pignut hickory, Carya glabra, is one of the most common hickories in the Southeastern forests east of the Mississippi River, and probably the most poorly understood hickory species as well, with such a range of variability that botanists are uncertain whether the taxon comprises a single extremely variable species or a number of weak, closely related segregate species. Pignut, which occurs uncommonly in Arkansas, is very close to black hickory, Carya texana, and the two species can be hard to tell apart. 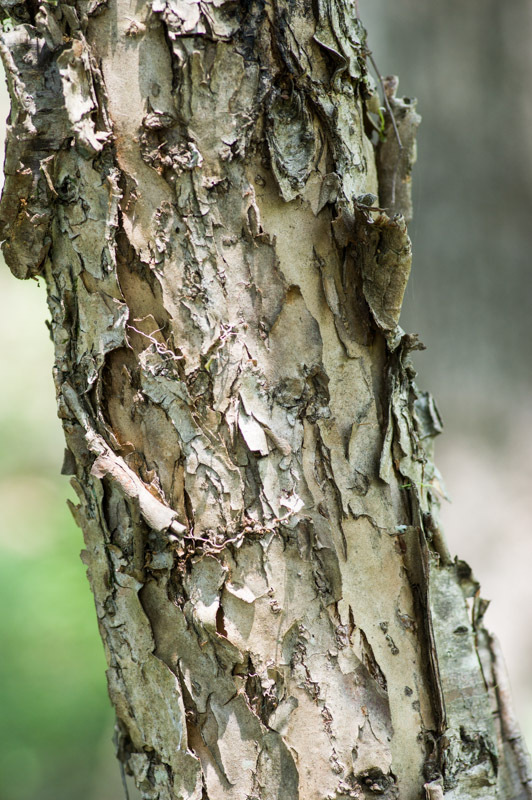 Two alien invasive species have unfortunately become so widespread in the state that they merit inclusion: Callery pear, Pyrus calleryana, a scourge statewide and Chinese tallow tree or popcorn tree, Triadica sebifera, at present restricted to southern and central counties. The use of DNA as a source of taxonomic evidence has become common and has exposed genealogical information that morphology and biochemistry had been previously too imprecise to reveal. This has necessitated, in turn, some surprising taxonomic changes, especially in the circumscription of plant families. Some familiar genera have been evicted from their longtime family homes and forced to move into unfamiliar quarters. For example, royal paulownia is out of the snapdragon/figwort family and into its very own princess tree family. Similarly, sweetgum is on its own now: out of the witch hazel family, into the sweetgum family. 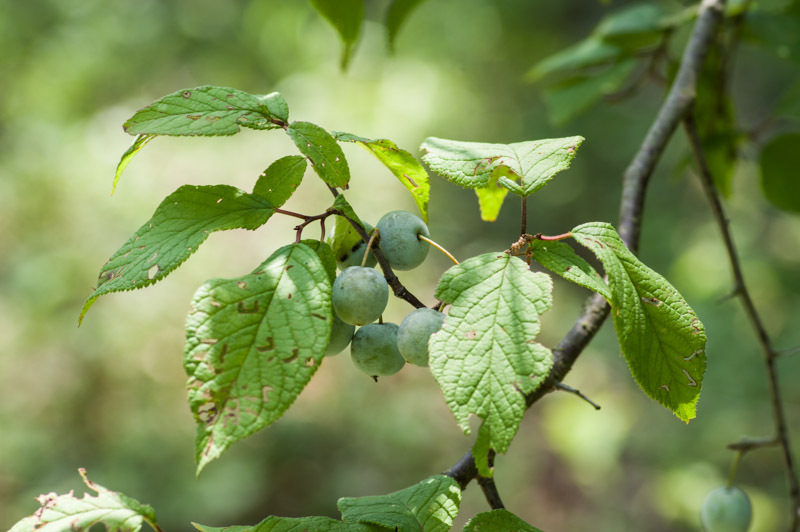 Most “counter-intuitive,” the hackberries, with their simple, alternate leaves, are transferred from the elm family, where they looked so comfortable, to the hemp family—the home of marijuana, with its palmately compound, opposite leaves. And there are one or two more. I could not quite force myself to vaporize the maple family, but if we see a new edition of Trees of Arkansas some time down the road, our maples will be no doubt submerged in the soapberry family. The arrangement of families has been changed from an outdated taxonomic sequence to alphabetical order by common name. Books are available from the Arkansas Forestry Commission office in Little Rock and from most AFC regional offices around the state, for the price of $5 [sic]! 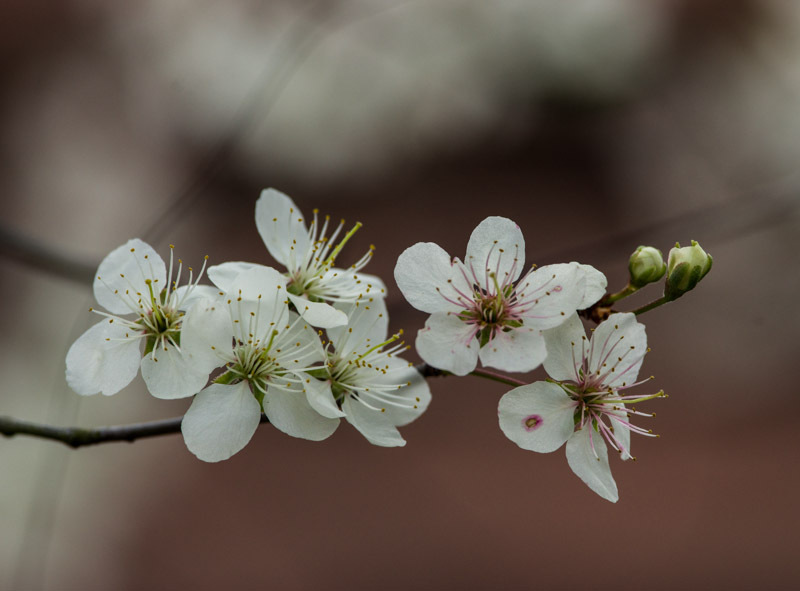 This entry was posted in Book Review, Native Plants, Trees and tagged Flowering Tree, Mexican Plum, Plum, Prunus, Prunus mexicana, Rosaceae, Trees of Arkansas. Bookmark the permalink.